…when it comes to making desserts. Ein Ofen für mich allein. Die kleinen Dinge in 2011. Take about 50 ml of the water to dissolve the sugar and the yeast in it. Then, put this, the salt and the oil in the dough. Knead it and put the water bit by bit in. Maybe you don’t need the whole 250 ml water, maybe you need more – That can differ! 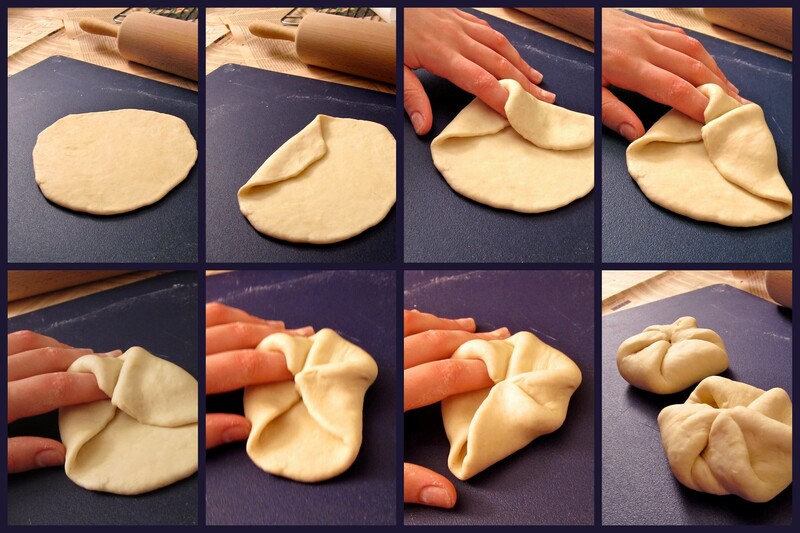 And knead and knead and knead and knead until you have a nice, smooth ball of dough. Then, roll this pretty ball until you have a string and cut it in about 8 pieces. And with those, you can do what you want. 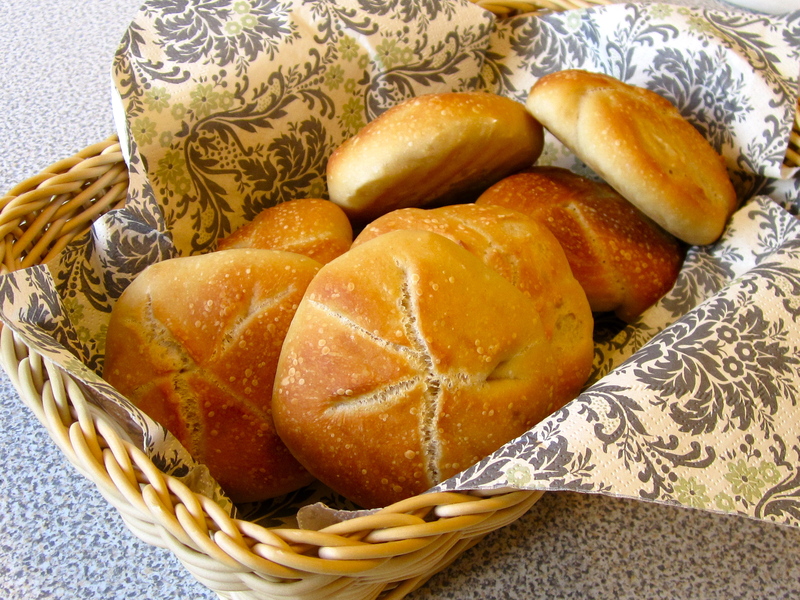 I tried two ways of forming Kaiser Rolls. 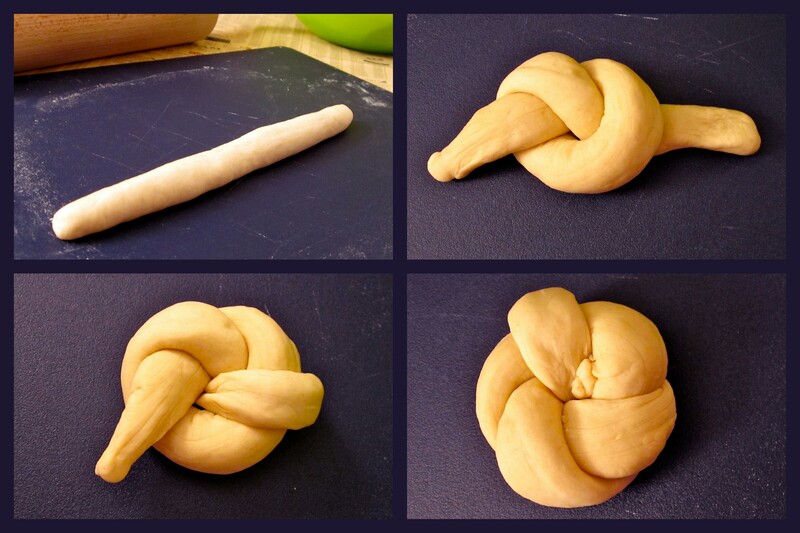 First, the one I found here: Knotted Rolls. This is how you do it. The other way, the way my results were prettier, is Folding Rolls. And this is how you do that. That’s it for the evening. Put that sheet on your balcony or in the fridge and go to bed. Or watch TV. Or have a party. Next morning, take your hopefully grown dough balls in (from the balcony) or out (of the frigde). Take off the foil and spatter them again with water. Then, fill in boiling water in the dripping pan in your oven – You need the steam! Put the rolls in the cold oven and turn it on: 180° Celsius (which are exactly 356° Fahrenheit). Leave them in for 20 to 25 minutes. The first 8 minutes, bake them with upper and lower heat, then switch to circulating heat, if your oven can. After that, take out your golden rolls.